I dont see how you equate playing to win with worship. 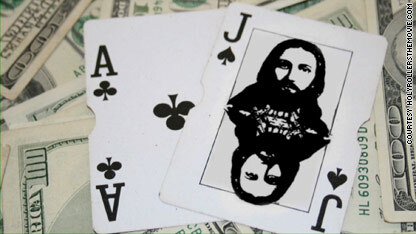 I totally think Jesus would be cool with skillfully pulling money away from the greedy and putting it to good use. I say this as an Atheist. You are not far from the Truth, my friend. If anything, Jesus would be against David Drury's taste in suits. 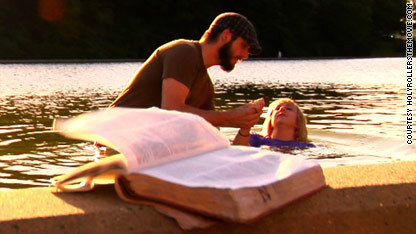 Sometimes Evangelicals try too way too hard to be culturally acceptable. What I am sitting here thinking goes beyond card counting (to count, or not to count?) and deals more with the bigger issue (as some pointed out) of playing the markets, gambling, etc. This comment isn’t directed at anybody but churchgoing believers: what about just doing an honest day's work instead of obsessing on accruing wealth, whether through playing the markets, or the casinos, or anything else. The real question ism would Jesus be okay with pursuing wealth. Scripture seems to indicate otherwise. To the rich man he said: "give all you have to the poor and follow me... and the rich man went away sad". I guess Joel Osteen never read this part either. Perhaps a follower of prosperity theology will weigh in, but I think you are quite right. In another context Christ examined money and said only "Then give back to Caesar what is Caesar’s, and to God what is God’s." Would Zeus count cards? How about Anubis? There's lots of other imaginary gods just like Jesus, but they don't seem to get CNN articles written about them. Why? Those do not exist. All credible ancient historians acknowledge the person of Jesus. Allah Akbar. Greeting from the Muslim brotherhood! I wonder if Mohammed or Allah would okay with it. I wonder if Mohammed or Allah would be okay with it. As a poor old lady with too many litters to take care of there is no need to bring Allah or others into this picture. If your gambling results in negative effects on others, who are not participants, it becomes their business; if it does not, it does not. IMO, over the course of recorded history, there has been more death and misery caused by organized religion, than by gambling. Perhaps you should have told the pastor that your will pray for him. Doesn't really make sense. I mean yes the Catholic Church funded murderous exploration of the new world, but science and technology gave us WMD's. Gambling is an individual indulgence, not a power structure. There's nothing wrong with counting cards, just another way of taking the advantage away from the house. Really couldn't give two sh**s if Jesus is alright with it or not, he doesn't need the money like I do. I don't care if people gamble, but they're still just junkies without a substance. Well.., now were going to have thousands of new Blackjack card counters or maybe not.. The new computer screen Blackjack tables are already being seen in Las Vegas, Nevada. There is NO shoe or deck shoe for cards played with the new computerized Blackjack tables, only monitor screen's to look into and buttons to press for hit, hold, double-down, etc.. There still will be Blackjack dealers to watch and push a few buttons, themselves, (e.g., end of game, start a new game and a few other functions. So we won't lose any Blackjack dealers or jobs.., however, we will lose the pleasure of using real cards and the ability to count cards. With the new computerized Blackjack tables, each screen in spaced, just enough apart, to where you can't see the player's cards. You will see, if they hit, stand, double down, etc.. So maybe, this new Blackjack card counting craze, will come to an end. Because.., you can't see the cards played or the deck shoe of cards played. Sad.., maybe, what they have done, is stop casino's from playing Blackjack with read cards and put in place, the new computerized Blackjack tables with monitor screen's, and button's to press. The enjoyment of playing with real cards and watching other players' with cards is lost. Sad.., but true. Remember.., the casino does not want to lose money, they want to make money, thats why the new computerized Blackjack tables are really being looked at and beta-tested in a few casino's right now, in Las Vegas. Its really easy to catch counters. Most regular players play the same bet every time. Counters must change their bets depending on whether the count is favorable. Its really obvious. The difficult part is determining whether the counter is good at it or just another sucker. Of course Jesus would approve... I have a beautiful painting on black velvet: Jesus, a German Shepherd, an American Native and a Unicorn playing Poker. Doesn't that prove it ?? Not for anyone to judge; God is everywhere. On the other hand, its kind of flabbergasting people didn't donate a portion to good causes and just kept it all for themselves. That may cause an issue down the line. Jesus himself, historically? I wouldn't think you'd be in favorable waters. Just that outfit in the pic is a little repulsive in a starving world, and so is keeping all the money. Especially when you pray to our Dark Lord, as I do. Stupid is as stupid does, You and your dark lord. Sadly it doesn't rigorous tests have been done to determine if prayer works, and sadly it doesn't. You can try and pretend that you can explain it away somehow, but the bible is pretty clear. If you ask for it in prayer you will receive. ya think? Thank god you showed up, no one would have figured that out! I support Sharia and Allah that is all that matters to me and my cats. Christians please stay away from me! You have done enough damage you GOP fuks! It's going to be a long time for you til November–they're just getting started–God help us. god help us everyone. Merry Christmas Mr. Scrooge. I believe the more important question is "Who cares?". I cared once. I had a family, a job and a nice house. Then I became a Christian and all that changed. I can be physically observed so, yes, I do exist. Wow @just wondering... are you still at it??? For the ignorant...card counting is not illegal as long as you are not cooperating with anyone else at the table or observing the table and as long as you are only doing it in your head (you can't even use paper/pencil). Casinos do kick people out for it but there is no legal issue. isreal – it's actually not hard. You are not keeping a running count of cards as much as a single value that changes based on which cards are played. Most systems only use a -1/0/+1 range per card. That doesn't take a math wiz just the ability to look at all the cards on the table as the hands end. You then change the amount you bet based on how high or low your count is. I was a math whiz once. Then I became a christian and all that changed. Card counting is as much gambling as investing in stocks. Both require planning, observation in order to make educated guesses. Both have a measure of risk. But I don't see Christians staying away from the stock market anytime soon. That is very funny as we bring Sharia you will then see how we can change that card game.